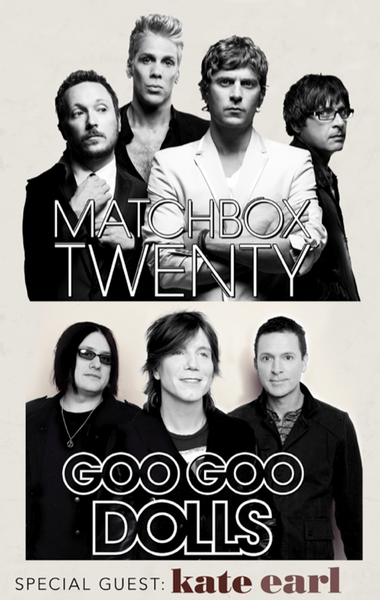 Matchbox Twenty is hitting the road with Goo Goo Dolls in just a couple short weeks! Want your pictures on MatchboxTwenty.com? Take photos & post them on Instagram with the tag #MB20GoosTour & you may see them on our media page here! Plus - wanna get the best pictures of the night when they roll into your town? Enter here to be the official fan photographer for a show on the tour. PS: Don't forget to follow @MatchboxTwenty & @GooGooDollsOfficial on Instagram!